"My first visit with Tanya was like meeting my long lost best friend. She was so easy to get acquainted with and it was so easy to be open and honest with her. She is my rock, as she maintains neutrality yet provides guidance on how to view situations differently. She helps me manage life events and continue to stay positive. Tanya is authentic and professional. She has a memory of an elephant; she never writes anything down when you are there, yet remembers everything you say. "I came to New Leaf Counseling to prepare for becoming an "empty nester" and I had many reservations. I was skeptical, thinking that a therapist would probably just nod and ask, 'How does that make you feel?' But after my first meeting with Tanya, I was immediately and pleasantly surprised! She provides a non-judgemental approach toward working on ME. She offers helpful suggestions that guide me toward my goal of gaining confidence and independence. Some of our conversations have included tears. But more often, our sessions are filled with laughter after thought provoking conversation. Above all, I ALWAYS feel that she is "tuned -in" to my needs. Tanya celebrates my accomplishments and helps me get through my disappointments. Since beginning my journey of therapy, I have recommended Tanya to several others, and they too have been very pleased! For this reason, I will continue to sing her praises!" "For once, in so long - the weight, or rather - pressure on my chest and shoulders has begun to lift. I see the world outside my own and it’s beautiful. 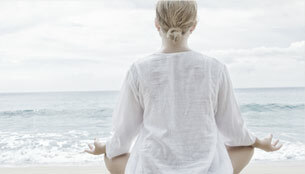 Tanya - New Leaf Counseling has guided me to creating the foundation for a more fulfilled life. What I enjoy most, and am so proud of, is that it’s my foundation - Tanya guided and allowed me to create this universal perspective I would have never had in the past between anxiety attacks, unresolved insecurities and weight.